Police have dramatically ramped up their intelligence gathering post-9/11, according to an AP report. MANHATTAN — The NYPD has been spying on Muslim communities by infiltrating mosques with the help of the CIA in an effort to stave off future terrorist plots, the Associated Press reported Wednesday. Since 9/11, the NYPD has become one of the country's most aggressive domestic intelligence agencies, according to the AP, which described secret teams of NYPD intelligence officers working well outside their jurisdiction, including staging operations out of state. As part of its efforts, the department has reportedly dispatched secret teams of undercover officers called “rakers” into minority ethnic neighborhoods to collect intelligence information at local bookstores, bars and cafes — an allegation a NYPD spokesman reportedly denied. Police have also used special informants, dubbed "mosque crawlers," to monitor weekly sermons and activity inside of mosques — even when there's no evidence of wrongdoing , the AP said. 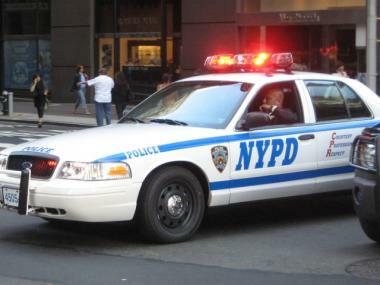 NYPD officials have also reportedly investigated local imams and gathered intelligence on cab drivers and food-cart vendors, the AP noted, and recruited local shopkeepers and others as informants to gather information and investigate potential "hot spots" where illegal activity could occur long before any laws have been broken. “A months-long investigation by The Associated Press has revealed that the NYPD operates far outside its borders and targets ethnic communities in ways that would run afoul of civil liberties rules if practiced by the federal government. And it does so with unprecedented help from the CIA in a partnership that has blurred the bright line between foreign and domestic spying,” the AP reported. It is unclear whether those operations continue today. NYPD spokesman Paul Browne denied that police trolled ethnic neighborhoods, telling the AP that officers only follow leads. He also dismissed the idea of “mosque crawlers,” saying, "Someone has a great imagination." Still, Browne said police work aggressively to disrupt terrorist operations. "The New York Police Department is doing everything it can to make sure there's not another 9/11 here and that more innocent New Yorkers are not killed by terrorists," he told the AP. "And we have nothing to apologize for in that regard." Despite its reported scope, the AP says the program is deeply shrouded in secrecy and that neither the City Council nor the federal government are fully aware of the operations — which were already drawing concerns from some commentators, as well as praise from others who defended the NYPD’s actions to stave off potential terrorist plots. Valerie Caproni, the FBI's general counsel, told the AP that the FBI is barred from sending agents into mosques looking for leads outside of a specific investigation and said the practice would raise alarms. "If you're sending an informant into a mosque when there is no evidence of wrongdoing, that's a very high-risk thing to do," she was quoted as saying. "You're running right up against core constitutional rights. You're talking about freedom of religion." Mordecai Dzikansky, a retired NYPD intelligence officer, denied that spying on ethnic neighborhoods amounted to racial profiling. "It's not a question of profiling. It's a question of going where the problem could arise," he told the AP. "And thank God we have the capability. We have the language capability and the ethnic officers. That's our hidden weapon." Police Commissioner Ray Kelly told the AP in an earlier interview that the NYPD's intelligence unit does not infringe on civil rights.